Making history as the first download-only single to reach the UK Number One, 31,000 people downloaded Crazy the week before its physical release. But Crazy isn't just one of the biggest selling Number One singles in years; it's also one of the only decent ones. Because the real story here is not that Gnarls Barkley are selling virtual truckloads of MP3s, but that their music is so spine-tinglingly great. Gnarls Barkley’s heroically outlandish biography claims that he is the penpal not merely of Lester Bangs, the long-deceased rock critic responsible for appropriating the phrase punk rock, but also soul man Isaac Hayes and Gordon Gano, vocalist with ramshackle acoustic trio the Violent Femmes. The people responsible for all this are actually rapper and vocalist Cee-Lo Green and hip-hop producer Brian "Danger Mouse" Burton. You certainly won't hear much else at the moment as inventive as their album St. Elsewhere: while Cee-Lo croons softly about suicide, heartbreak, schizophrenia and the various skeletons in his closet, Danger Mouse assembles a consistently astonishing array of backwards accordions, horror movie strings, pinball funk, turbo-speed gospel samples and melting Spanish guitars. The ultimate effect is dizzying: it's that rare kind of album that you'll want to listen to once and then start all over again from the top to make sure that you haven't missed something. Crazy simply wouldn't have sold in the quantities it has were it not an extraordinary, boundary-defying song. It echoes all kinds of apparently contradictory music – the exquisite misery of a southern soul ballad, the tempo and spacey euphoria of an old vocal house anthem, the clanking, unfunky bassline of a 1980s indie band – but the cumulative effect sounds like nothing else. The names dropped in the fake biog give some indication of what's on offer among the album's 14 admirably concise tracks. There's an oddly chilling electropop cover of the Violent Femmes' Gone Daddy Gone. The primitive, schlocky, mid-1960s garage-rock beloved of Lester Bangs and Stuckist Billy Childish informs The Boogie Monster. If none of St. Elsewhere sounds specifically like Isaac Hayes, traces of the psychedelic soul prevalent in the same era are all over the album: in the warped Motown beats of Smiley Faces, the Temptations-like bass vocals on Who Cares?, and in the penultimate Storm Coming, which is crowded with discordant guitars and apocalyptic imagery. Elsewhere, there are mariachi trumpets and flamenco guitars, clattering beats that bear the influence of the Aphex Twin and the disorientating spaces of dub reggae. Danger Mouse produced the infamous Grey Album, a full-length blend of The Beatles music and Jay-Z's raps that became a cult classic. He recently garnered a Grammy nomination for Producer of the Year for his work with Gorillaz. Cee-Lo Green, aka Thomas Calloway, is a Dungeon Family alumnus, once-and-future member of Goodie Mob and a wildly eclectic solo artist. His music is steeped in the gospel and blues traditions of the Southeast, merging timeless soul with experimental funk and hip-hop. It's an inspired match. The result of their union is a winning combination of groove and grit that manages the neat trick of sounding simultaneously timeless, familiar and totally forward-thinking. The mass of disparate sounds is perfectly bound together on St. Elsewhere by some astonishing songwriting and Green's haunting, sorrowful voice, which perfectly fits with the album's concept. It's a complex record, to be sure. Often dark and unpredictable, St. Elsewhere nevertheless retains its sense of joy throughout. It constantly shifts its shape and never sacrifices momentum. St. 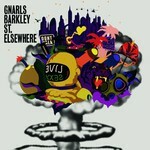 Elsewhere is an indication that Gnarls Barkley’s music bears Marvin Gaye's depth of feeling, Jeff Buckley's emotive theatrics, and wild courage not seen since Prince's prime. Behold the most exciting debut of 2006. A psychedelic soul masterpiece.